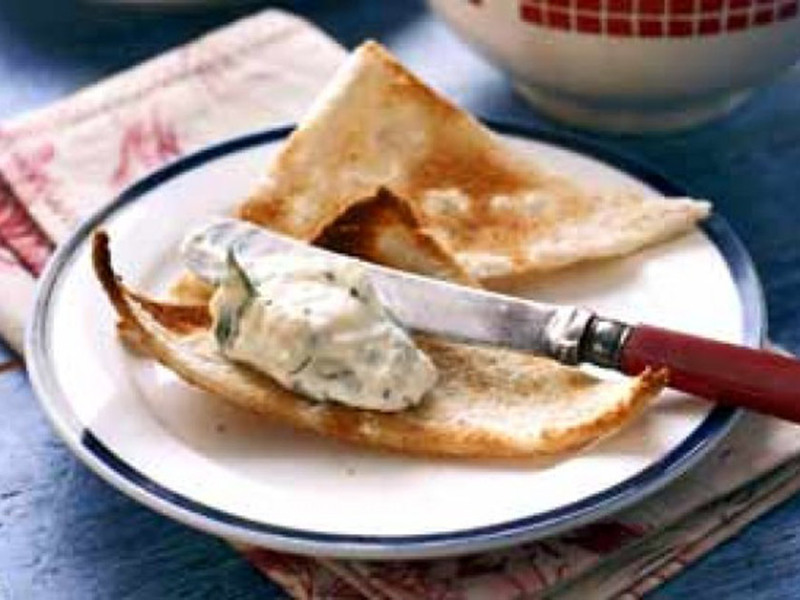 Smother homemade melba toast with this creamy pate for a tasty treat that’s quick and easy. Serve with raw veggies to give it some crunch. Soften the cream cheese in a bowl, then mix in the Port Salut until smooth. Add the grated Ossau-Iraty with the spring onions and parsley. soft pâté. Cover and chill. Take out 10 mins before serving. To make Melba toast: Grill 6-8 slices medium-sliced white bread on both sides. Cut crusts off, then cut through the middle of each slice to make two very thin slices. Cut these into triangles, then carefully grill untoasted sides. (Not suitable for freezing).